Barracuda SSL VPN Vx is a virtual appliance providing secure, clientless remote access to internal network resources from any Web browser. It is ideally suited for organizations that are standardizing hardware platforms or deploying virtual environments and provides the same powerful technology, comprehensive features and ease of use found in the Barracuda SSL VPN hardware appliance. Designed for remote employees and road warriors, the Barracuda SSL VPN Vx provides comprehensive control over file systems and Web-based applications requiring external access. The Barracuda SSL VPN integrates with third-party authentication mechanisms to control user access levels and to provide Single Sign-On. Your army of road warriors and remote workers require a quick, flexible, reliable Application Delivery and completely secure way to connect to your internal enterprise applications, information and network resources. They want to do this from anywhere in the world, at any time and from any suitable device. 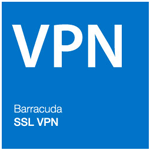 The Barracuda SSL VPN Vx provides the security and connectivity to deliver this access, via a web browser or virtually any mobile device. The Barracuda SSL VPN Vx makes it easy for remote users to access internal applications and files. Unlike traditional VPN technologies, the Barracuda SSL VPN does not require any additional client software or complicated settings. Logging in from home or the road requires only a web browser and Internet connection. Upon login, users are presented with a portal of internal web applications or file shares. More advanced applications like Remote Desktop Services or Citrix XenApp are available to users running Java. Administrators have complete control over user access with the option of further securing resources with secondary authentication. Possibilities include sending one-time passcodes to mobile phones (including Google Authenticator), prompting with security questions, or integrating with advanced authentication systems like hardware tokens, RADIUS, and other additional security methods. 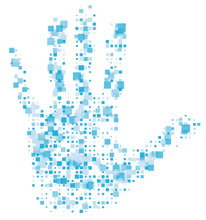 Risk Based Authentication allows the use of extra authentication for high risk applications. The Barracuda SSL VPN Vx provides extra security layers, including the ability to reverse-proxy Exchange ActiveSync traffic to keep Windows servers safely inside the network perimeter. Integrated antivirus protection secures file uploads to keep malware out of the network. Built on a hardened platform, the Barracuda SSL VPN Vx is the ideal replacement for traditional software-based remote access gateways. The Barracuda SSL VPN Vx makes it easy for remote users to access internal applications and files. Unlike traditional VPN technologies, the Barracuda SSL VPN Vx does not require any additional client software or complicated settings. Logging in from home or the road requires only a web browser and Internet connection. Upon login, users are presented with a portal of internal web applications or file shares. More advanced applications like Remote Desktop Services or Citrix XenApp are available to users running Java. Administrators have complete control over user access with the option of further securing resources with secondary authentication. Possibilities include sending one-time passcodes to mobile phones, prompting with security questions, or integrating with advanced authentication systems like hardware tokens, RADIUS, and other additional security methods. Today, corporate data and applications need to be available anytime, from anywhere. As BYODs become commonplace, providing easy access for mobile devices not subject to network policy enforcement --while ensuring corporate data is secure-- is critical. The Barracuda SSL VPN Vx delivers fast and secure access while ensuring that a seamless and simple end-user experience reduces support overhead. Unlike traditional IPsec-based VPNs that require client software installed on remote machines, the Barracuda SSL VPN Vx provides secure remote access to network resources from any web browser. This removes the overhead of installing and maintaining clients and permits secure access from any operating system that can support a standard web browser. SSL technology also eliminates some of the deployment issues around IPsec VPN technology like IP address conflicts, NAT traversal, and DNS issues. The Barracuda SSL VPN Vx integrates a powerful engine that enables administrators to selectively authorize traffic to approved resources. The device integrates with Active Directory, LDAP, and other user databases, permitting administrators to define granular policies that allow specific users and groups to access network resources. Administrators can configure access to resources such as intranet sites, mapped network drives, applications like RDP, SSH/SFTP, CITRIX XenApp, and others. Remote users are required to properly identify themselves before obtaining entry to the network to prevent unauthorized access. The Barracuda SSL VPN Vx can be configured to enforce a combination of authentication schemes including Active Directory passwords, hardware tokens, client certificates, and PIN numbers. Moreover, the Barracuda SSL VPN supports RSA SecurID, VASCO, Safeword, and CryptoCard authentication servers through RADIUS integration for access using a one-time password token. This security ensures that accessing the Barracuda SSL VPN Vx from any web browser is backed by the protection of a strong authentication policy that allows only authorized users to enter the network. Remote users can access network resources from a variety of end-points or client machines including shared computers. The Barracuda SSL VPN Vx provides extensive network access control methods that will ensure a computer requesting remote access adheres to established security policies based on the operating system, web browser version, and other connection parameters before permitting network access. Designed for applications using UDP, the Barracuda Network Connector is a secure IP tunneling client installed on users' workstations or laptops. The Barracuda Network Connector creates an IP connection to the Barracuda SSL VPN Vx and has a fully routed VPN connection to the remote network. This streams content from the remote network and allows the use of any TCP or UDP application such as legacy client/server applications. The Barracuda Network connector also supports password, PIN, and RADIUS authentication for added security. The Barracuda SSL VPN Vx supports RSA SecurID, VASCO, Safeword, and CryptoCard authentication servers through RADIUS integration. Hardware token authentication supports access using one time password (OTP) tokens. The Barracuda SSL VPN Vx integrates with user databases via LDAP, RADIUS, Active Directory, and NIS. 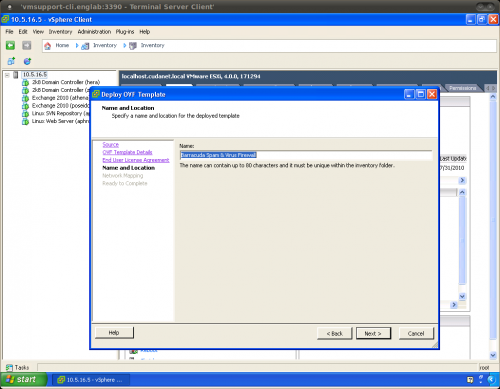 Using central user accounts supports Single Sign-On while avoiding having to duplicate user data. The Barracuda SSL VPN Vx can pass users' Active Directory credentials to the remote desktop session for true Single Sign-On. For transparent authentication when using reverse-proxy web forwarding, intranet websites can be launched that pass users' credentials to web applications. 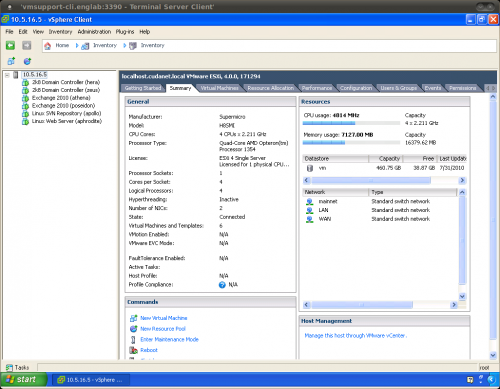 System administrators can easily view logs and generate reports for clear visibility into remote access. The Barracuda SSL VPN Vx generates reports on VPN use, users, resource activity, and more with no database administration or other equipment required. All resource access through the Barracuda SSL VPN Vx is audited. Real-time reports display privilege use, failed logons, file, and intranet use, as well as other information. The status page also provides statistics about resource use. The Barracuda SSL VPN Vx allows remote workers to securely access an organization's applications and files from virtually any mobile device, via an easy-to-use mobile portal. 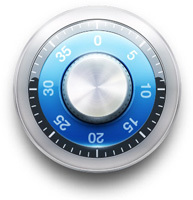 Security is ensured through powerful multi-factor authentication options, while ease-of-use ensures low support costs. In addition, the device configuration feature allows easy configuration of iPhones, iPads and Mac devices for exchange, mail, LDAP, Webclips, Client Certificates, IPsec, and PPTP. Windows devices can also be configured. A web portal provides remote users with easy access to their assigned resources. Navigation is so easy that users in the office often prefer use the portal to access their network resources as well. Administrators use realms when an organization has multiple user databases. 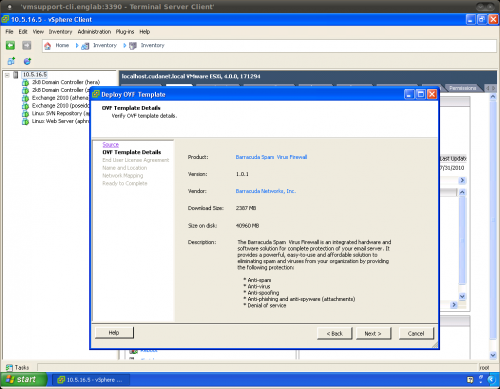 Realms let the Barracuda SSL VPN Vx authenticate against multiple domain servers and directories such as LDAP and NIS. The Barracuda SSL VPN Vx securely connects remote users through SSL-encrypted tunnels from any web browser. No client software is necessary. However, for richer tunnelling, the Barracuda SSL VPN Vx offers the Barracuda SSL VPN agent, a lightweight Java tunnelling client. This agent supports remote applications such as Remote Desktop Services, Citrix XenApp, VNC, NX, SSH, and Telnet. The Barracuda SSL VPN Vx automatically scans files uploaded to the network file system and from intranet web applications for viruses, spyware, and other malware. Barracuda Energize Updates keep virus definitions current in real time to prevent even the latest malware from uploading to the network. The virtual on-screen keyboard is a security feature that defends against key-logging attacks. The virtual keyboard echoes characters the user clicks on. A cache-cleaning utility automatically clears session data from the user's web cache and history when the user logs out or disconnects. Cache cleaning prevents unauthorized exposure of information when users access the Barracuda SSL VPN from public or shared computers. The Barracuda SSL VPN Server Agent streamlines connections to services at remote sites without the risks and burden of using a fully routed IPsec connection. 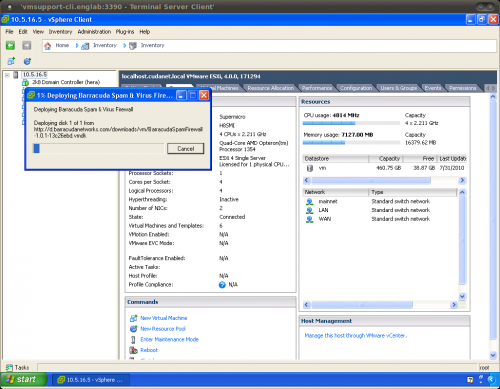 The Barracuda SSL VPN Server Agent directly connects to services hosted on remote sites from the Barracuda SSL VPN Vx. The Barracuda SSL VPN Vx is available in 4 editions capable of handling from 15 to 500 concurrent users. Multiple virtual appliances can be clustered for greater capacity and high availability. Also, the capacity and performance of the 600Vx can be easily expanded by licensing it to run on additional CPU cores on the virtual host cluster. 1 Not available via mobile access.